We have had quite a few children join nursery over the last couple of months, we would like to welcome these children and families into nursery and I hope they are all settling in well and making lots of new friends. Please can I remind all parents and carers that fees are due on the 5th of every month (e.g. For May fees, fees are due on the 5th of May ). Unfortunately, fees cannot be paid at the end of the month or rolled over to the following month all fees not paid by the end of the month will incur a £20 payment charge. 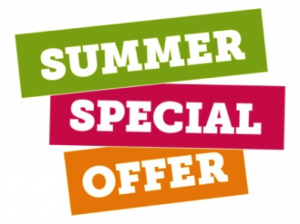 We are still offering a 10% discount for all new parents who work for BAE Systems, the emergency services (police, ambulance or fire), the NHS or who are serving in the armed forces. This is only to cover the cost of care and not meals and extras; proof of this will need to be shown to myself every 3 months via a wage slip or ID badge. We are also still offering a recommend a friend where if you recommend a friend you receive £10 for every full day they book in, the new parent will also receive 50% off their first months fees. As you may be aware Danni our floor manager and Treetop room leader is still poorly however she has now moved out of hospital and is now in rehab and slowly making an improvement we wish here all the best in her recovery. Due to the time Danni will be absent from nursery Maxine will be joining the team she will be taking over as Pre-school room leader and temporarily filling in as floor manager until Danni returns. Maxine is starting with us one day a week until she starts fully on 28th May. In July we will be saying goodbye to our pre-school leavers but before we do we have lots of exciting treats for them, please could you put these dates in your diary. Mel the photographer will be coming into nursery to take photos for the pre-school graduation, this is only for those children who are leaving for school and due to the amount of children Mel will only have time to take individual photographs of children in their graduation outfits. You do not need to provide their outfits as we have them at nursery. If your child is leaving for school and not in on this day please can you bring them in at 1:00 for their photograph. If you have any questions please ask myself or one of the pre-school staff. 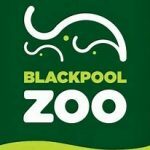 We are going to be having a trip to Blackpool Zoo where the children can see all the different animals and have a fun day with their friends, due to this being a full day out there will be an additional cost for the day and letters will be sent out nearer the time. If your child is not in on this day please can you swap your child’s sessions to enable them to attend the trip, the staff in pre-school will help you with this. We have a fun filled afternoon to celebrate the children leaving for school, this will be from 1:00 till 4:00 we will start with party games then Taz will be in he is a very good children’s entertainer and will be making us all laugh, we will then be having a party tea. Again if your child is not in on this day you can swap their day so they can join in the fun, the pre school team can help with this. 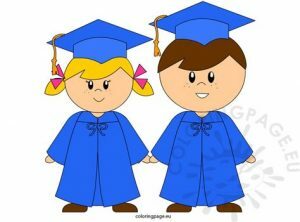 This is the last day at nursery for the funded only children and for the children leaving for school we have a graduation celebration taking place at 2:00, you are invited to come and watch your child however due to the number of children taking part we can only have two adults for every child. This is also the last day for funded only children until September, if your child has stretched their 30 hours they can stay until the 31st August, if you’re unsure please ask. In the next couple of weeks your child should be offered some taster days at school, therefore please could you let your child’s key worker know when these are, due to nursery being so full we are unable to swap their sessions for these days. 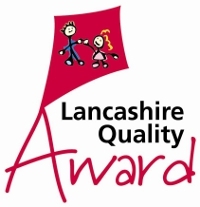 We will also be competing their school reports in June to send to school. We are going to be celebrating the royal wedding, throughout the day we will be having lots of games and activities taking place to celebrate the wedding we are also going to dressing up as princes or princesses or in red, white and blue. 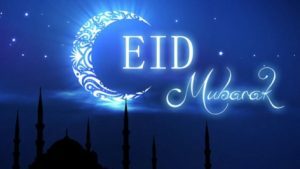 We will be celebrating the Muslim festival of Eid, please come dressed in bright, sparkly clothes, there will also be lots of fun games and activities taking place. We will be celebrating the Queen’s birthday this week there will be a variety of different activities and games taking place as well as each room making a card to send to Buckingham Palace. We will be celebrating father’s day all week so all the children will get a chance to take part in making cards and gifts for their dad’s or grandad’s. Lots of activities and games will be taking place, we are also inviting dad’s or grandad’s in to have a father’s day tea with us on Wednesday 13th June, please can you let a member of the team know if you will be attending. 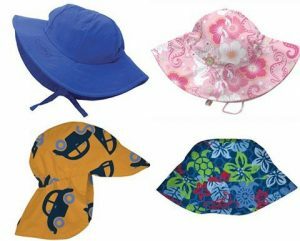 Due to the weather getting warmer please can you ensure your child has a summer hat either in their bag or in their draw, also we are having a few children coming to nursery without spare clothes, the children can get messy in the day through messy and water play or exploring in puddles in our garden therefore please ensure they have a couple of sets of spare clothes at nursery, as we do not have many spare sets. We will also need more if your child is toilet training. Please can your child’s hat and clothes be labelled as well as their coat. As you may be aware we have started an intermediate class for the younger children and the children just beginning to swim as well as the two classes for the treetop children on a Thursday, if you would like to put your child’s name down please ask your child’s room leader or myself. At nursery we are working towards Millie’s mark, this is England’s gold standard in paediatric first aid, it was founded after a baby died in a nursery from choking on food. It trains all our staff on the importance of providing appropriate foods and drinks to cater for their development and individual needs. We are still having children coming into nursery with toys from home, please can you ensure they don’t come in with them as they could get lost or broken. Also please can you ensure your child does not come into nursery with jewellery on again they could get lost or cause injury to the child, thank you . We would love some feedback from you on how you feel the nursery is, if you would like a questionnaire please ask in the office or take one from the parent information board in the hallway, we also have a parental feedback book and we would appreciate your feedback. We would like you to be honest as you can and we appreciate the time you take to fill them in. During the holidays we like to take the children out on trips but because the nursery is very busy we are unable to take all the children out, however we do try and rotate them so all the children get the opportunity to take part in the various activities. This is the same when we do the forest school. Babies – The babies are going to learning all about summer and the changes to the environment, they will be going on some lovely walks to the pond and moor park and playing on the play ground. We will also be doing a new display board and creating some lovely pictures, we would love it if you could bring some photographs of your summer holiday. The babies are going to be developing their speech and language through songs and stories, we are also going be having a lady called Jeanette coming into nursery to teach the children signing through song and dance. They are also going to having lots of fun exploring in all the sensory activities developing their social as well as creative skills. During this time they are also going to developing their physical skills by using different materials for example paintbrushes and crayons. 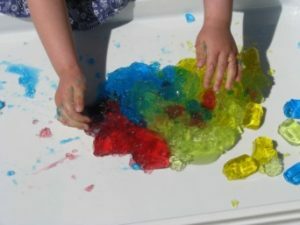 Sunshiners – The Sunshine children will be developing their sensory skills through painting and messy play. They will also be watching their flowers and vegetables growing in the new vegetable patch in the garden, they will also be learning the process of growth from a seed to a vegetable ready to eat. They are also going to be developing their skills through exploring in the outdoor area, they can develop their physical skills through riding the bikes as well as kicking the football, they can also develop their sensory skills through water and sand play. The sunshiners will also be supporting children through their transitions into the treetop room during the six weeks holiday. Treetops – The Treetop children will be getting ready for school in September through a variety of structured activities developing their maths and literacy skills. We will also be creating their independence through putting their own coat and shoes on and trying to fasten them. The treetop children are also going to learning about the life cycle of a ladybird they will be having some baby ladybird, they are going to watch how they change and develop into Ladybird we will then be releasing them into our bug hotel when they are big enough and hopefully keep them at nursery. 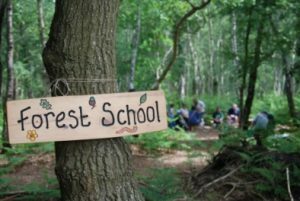 The children will also be exploring through forest school and develop their physical, imaginary play as well as knowledge and understanding of the world. We are hoping our new forest school area will be open in the next couple of weeks. We would like to thank you for your continued support this year. Steph and the busy bears team.